Christian J. Lange will be giving a public research seminar at the Centre for Urban Studies and Urban Planning at HKU. 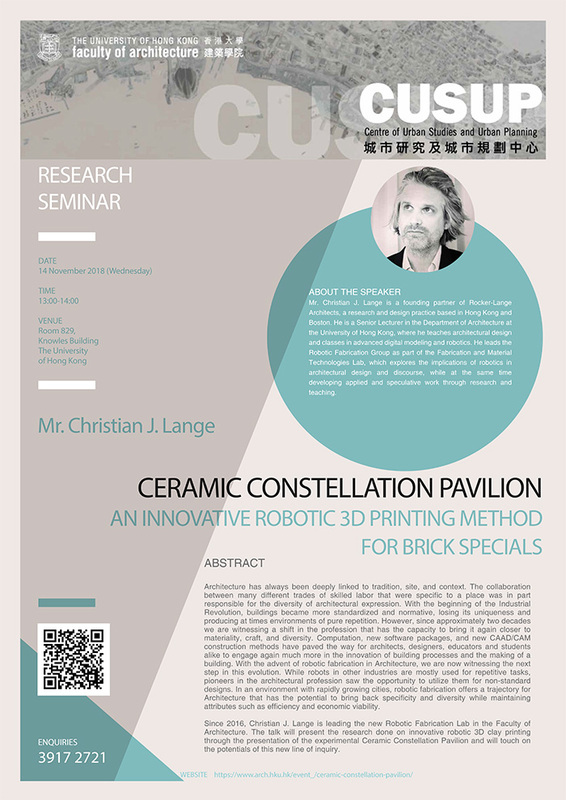 The talk will be centered around the recent research on brick specials in the Robotic Fabrication Lab at HKU. All are welcome.